To download this .pdf – A confirmed email address is required for delivery, and a confirmation email will be sent to you immediately upon submission. Sometimes it is helpful to check your ‘spam’ filter or ‘junk mail’ if you do not see the “Thank You” email from us. Please confirm receipt and check ‘NOT SPAM’ so you don’t miss it! Find out if you know the best ways to shop for and choose international health insurance for your business or organization. Are you saving the most money? Is your current group insurance “off-the-rack,” or customized to fit your needs? Are you paying for benefits no one uses (or only 1-2% of your staff use) every year? 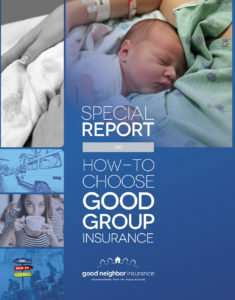 We wrote this exclusive guide to help groups who are considering ways to save on their overseas health benefits including organizations that are considering group health insurance for the first time. It was written for groups with little knowledge of group health insurance, underwriting or how insurance carriers work, so should be accessible to all. At the same time, there are tips learned from other HR and Benefits Administrators that will make the guide invaluable no matter how long someone has been selecting group benefits packages. “Under ERISA Section 409, both employers (the plan sponsors) and outside providers hired in a fiduciary capacity are potentially exposed to significant liabilities. If a plan is not managed properly and/or benefits are lost because employees were not given adequate information or instruction, fiduciaries can be held “personally liable” to “make good” any losses that they’re responsible for. (http://www.thehartford.com/business-playbook/in-depth/fiduciary-liability-insurance-protects-against-mismanagement) In administering health and other welfare plans, inadequate policy communications or errors in counseling or providing interpretations to employees that result in lost benefits, injury or suffering, or financial burden. We have more on this subject is in the guide. We then go to work on a free actionable analysis on which traditional carriers might be best, and not only send you a quote, but actually send you a detailed, actionable analysis of additional ways you could save. This allows an organization like yours, to easily compare exact benefits and costs from one plan to another. It also gives us specific starting points to discuss ways we can further trim those quotes and customize your plan for maximum effect. Featuring real comparisons – and real, honest, advice. How to evaluate claims. How to compare brokers and carriers and even decide if medical shared plans are for you. Information about BlueCard. Even the latest information on liability and whether your organization is exposed to lawsuits based on what you are, or are not, providing to your employees and 1099 workers. There are keys to knowing if you have a good plan or not and we teach them to you, free. We guarantee that you will save money by following this advice, or by calling Good Neighbor and letting us advise you on your plan design or by looking for ways to save on your current plan. If you would like a printed copy of this guide, please indicate that on the form and make sure you give us an address to mail it to. 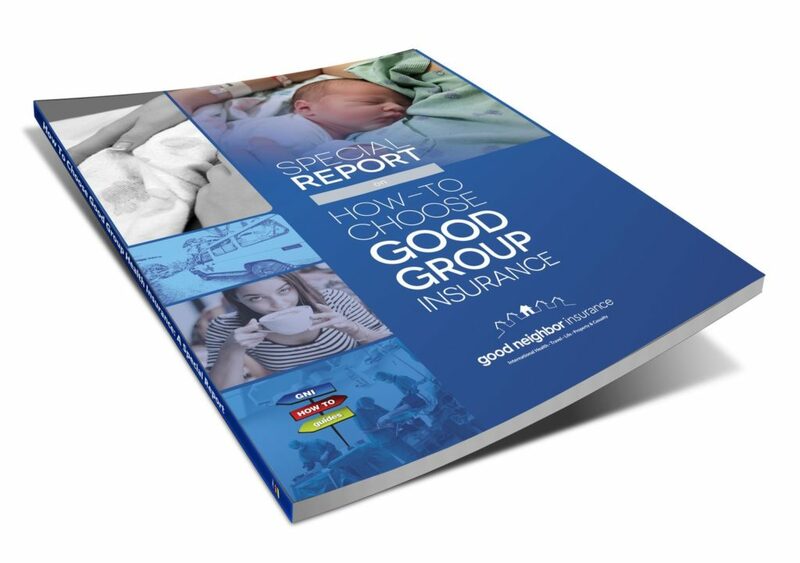 Note: This special report on choosing international group health insurance was uniquely sponsored by four of our insurance carriers that work closely with Good Neighbor. However the content was written independently and was not subject to their oversight or approval. The guide is for employers. If you are an individual looking to save money on your annual premiums, we can help. However, this report has information that is only applicable to groups with two to 2,000 employees overseas and will not suit individual policy holders.